Andrea Ott-Dahl said she was more than happy to serve as surrogate to her friends who were having trouble getting pregnant, but she and her wife, Keston Ott-Dahl, were unaware that it would change their lives forever. 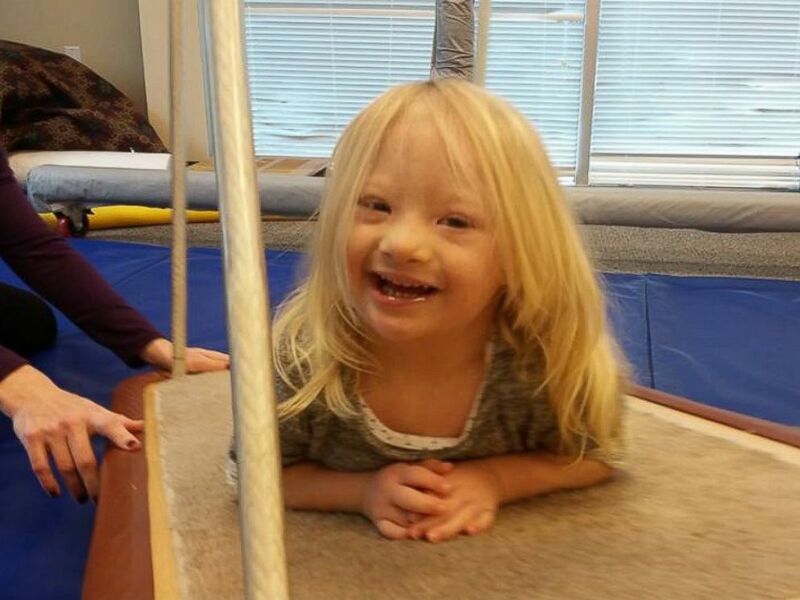 In January 2013, two months into the pregnancy, doctors told the couple, who live in Antioch, California, in the San Francisco Bay Area, that the child, whom they had already named Delaney, would be born with Down syndrome, the couple told ABC News. "When the doctor came in, the four of us, I would say we were in shock," said Keston, 50. "We were devastated. Andrea was catatonic. The doctors made it seem like Delaney was going to be blind [and] have autism. They said the fluid build-up on the back of her neck, it would either kill her or there would be a severe deformity that would look like another head. They told us she had a five percent chance of surviving up until birth." "They successfully scared those two intended moms into wanting to terminate," Keston said. Andrea, 34, said she agreed to serve as surrogate for her two friends -- a lesbian couple who had been having trouble getting pregnant for six years. Andrea donated the eggs for the pregnancy, making her the biological mother of Delaney. "Our hearts went out to these women because we knew the joys of having a family," said Andrea, who is a mother to five children. "Finally, we got pregnant and everyone was happy, but at the 12-week ultrasound, the doctor noticed the buildup of fluid behind the baby's neck. He told us this would be Down syndrome, or worse." 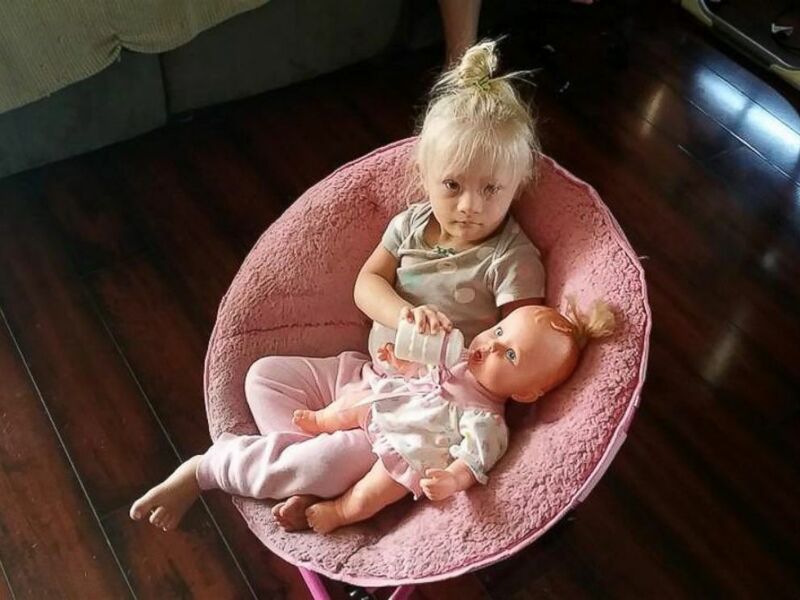 Upon hearing the news of the diagnosis, the baby's intended mothers decided they no longer wanted Andrea to move forward with the pregnancy, Keston said. "They said, 'The decision to terminate is our decision alone,'" Keston recalled. "We decided we loved her [the baby] and that she was ours." Andrea and Keston said they made it a point to begin educating themselves on what it meant for a child to have Down syndrome. "Andrea and I sat for countless hours watching these videos," Keston said. "We saw kids that are actors, entrepreneurs, they get married ...they do things that any kids can do." Michelle Whitten, president and CEO of the Global Down Syndrome Foundation, agreed that there is still a stigma attached to people who are diagnosed with the genetic disorder. However, those growing up with Down syndrome can still live successful and fulfilling lives, she said. “There are people with Down syndrome who are accomplishing these amazing things,” Whitten said. “Just look at TV. You have Lauren Potter, who is one of the ongoing cast members in ‘Glee’; Jamie Brewer, who’s done three seasons of ‘American Horror Story’; Madeline Stuart from Australia is working it all over the world as a fashion model." Andrea and Keston said Delaney is thriving and speaking in five-word sentences. On Jan. 20, 2013, Andrea and Keston approached the intended mothers of the child to inform them that they wanted to keep the child as their own. Keston said the intended mothers briefly threatened a lawsuit for Andrea to terminate the baby, but never pursued. Lori Meyers, a partner of Meyers & O’Hara LLP who has specialized in surrogacy law for 20 years, said no person can file a lawsuit to terminate a pregnancy. "There’s not a court or contract in the world or judge that would force a surrogate mom to undergo a termination of a pregnancy simply because of something they sign," Meyer told ABC News. "There's no 'specific performance' in the law. We’re not going to get a judge to demand an abortion because a woman has control of her own body. There may be financial ramifications because of that decision, but she has the right to control her own body under Roe vs. Wade." Despite their conflict, Andrea and Keston said they hold no ill-will toward the intended mothers. "From their perspective, I have to be kind of sensitive to them," Andrea said. "When you're trying to get pregnant for so long, it's hard to be optimistic and see things with a fresh set of eyes. For Keston and I, this was our first go-around and I think that's why we were so open to getting that research." Andrea refused to terminate the pregnancy after Delaney was diagnosed with Down syndrome at the 12-week ultrasound. On July 2, 2013, Delaney Skye was born. Besides having a heart defect that required a surgical operation, Delaney was born with no other health problems, her mothers said. Now 2 years old, Delaney is making strides as a toddler. "Delaney is amazing," Andrea said. "She's like any typical 2-year-old. She likes getting into mischief and making messes. She loves to dance, all things Elmo, she loves playing with her siblings." Keston added: "She hits every milestone. All this early intervention paid off. Right now, she's talking in five-word sentences. A lot of the time, kids with Down syndrome don't talk until they're five or sometimes they don't talk at all." Delaney's story has been shared across social media, as well as in a new memoir written by Andrea and Keston titled, "Saving Delaney: From Surrogacy to Family." "We just want to show parents out there -- you don't have to lose hope," Andrea said. "You don't have to terminate your child. Down syndrome is a label and that's what society does. It determines what people can and can't do based on that label." Andrea and Keston said they've received countless messages from parents of children with Down syndrome who've said Delaney's story has inspired them. And despite their long journey, the couple said they wouldn't change a thing. "Honestly, we hit the lottery with Delaney," Keston said.